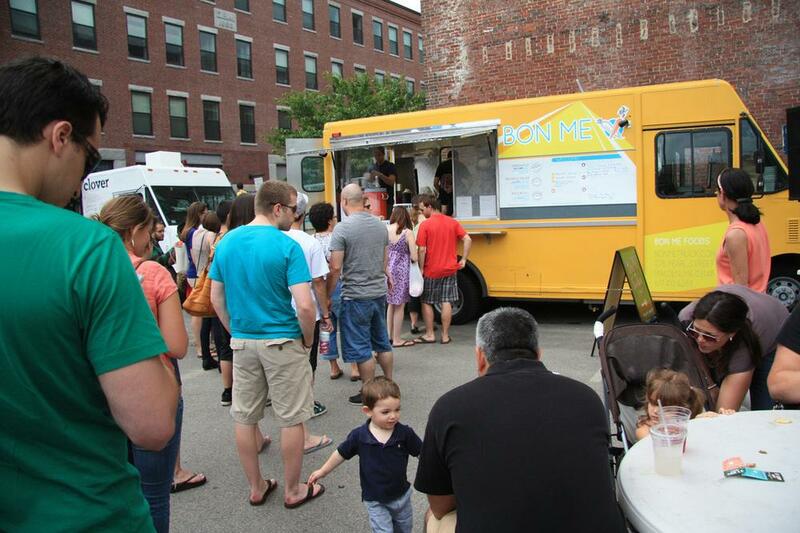 Since the City of Boston started licensing food trucks eight months ago, 19 operators have signed up in a flurry of excitement. But one of them recently fired off an open letter to City Hall, saying: "Despite the media portrayal that the food truck industry in Boston is thriving, the reality is that the city hasn’t implemented a system that will allow food trucks to succeed." So I went to find out how Boston’s food trucks are faring through their first winter. Back in 2003, Patrick Gilmartin and Adam Gendreau were working the line at Rialto in Cambridge, trying to one-up each other with the creative staff meals they'd cook for themselves after service. I visited them recently. They were selling General Tso's duck tongue tacos on Stuart Street from the truck they now own together, the aptly named Staff Meal. “It's been a little slow today,” Gendreau says with a twinge. “It's a little cold out. You know, I think people got used to the nice 50-degree days." It's no surprise that winter is bad for food trucks. But for Gendreau, it's been worse than he ever imagined. "If the business stays the same, you know, 2012 could be an impossible year to get through,” he says. And he doesn't just blame the weather. In that open letter he wrote, Gendreau begged Boston regulators to set aside more parking spots for food trucks in the only neighborhood he says has been profitable for him: Back Bay. Edith Murnane, director of food initiatives for the city and a former restaurateur, is sympathetic to Staff Meal’s struggle. But she has competing interests to consider. “Parking spaces are a public amenity,” she says. “And so to take away a public amenity for a public enterprise, [that] has to be balanced, because there are lots of people vying for that space." 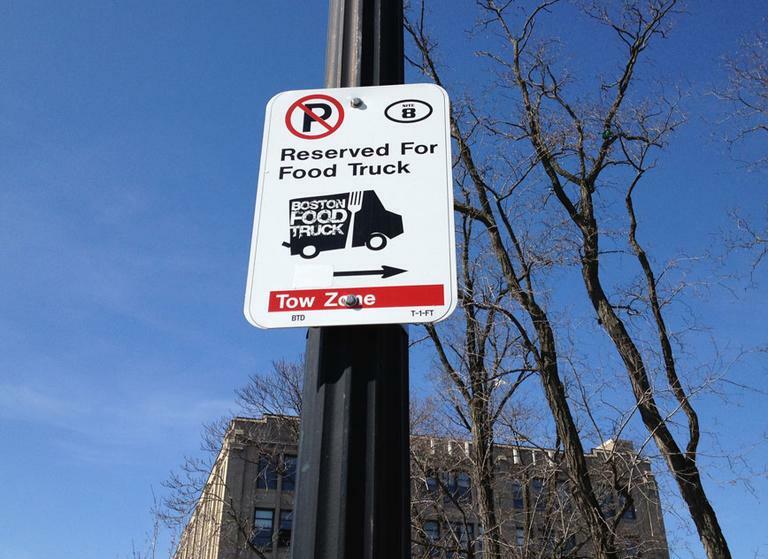 Presently there are 16 street spots dedicated for food truck use in Boston. Not all operators are clamoring for more, though. Some just want them allocated differently. 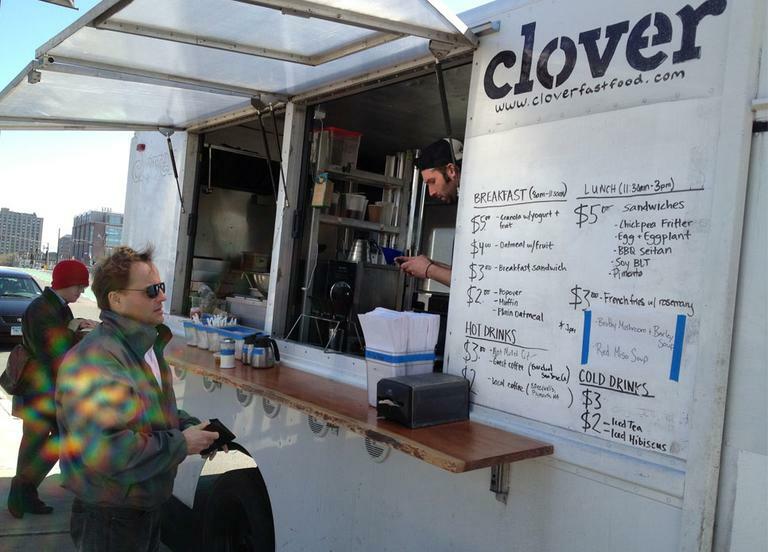 While the Staff Meal guys shiver in their truck, Ayr Muir of Clover Food Lab sits in an office above his flagship brick and mortar restaurant in Harvard Square, lording over a budding empire of food trucks. He's not worried about going out of business this year. Muir is frustrated that Boston won't let him stake out a permanent breakfast, lunch and dinner presence. He’s supposed to move the truck around, and share spots with other operators. "I think a doughnut truck, a cookie truck, can do really well without a day-to-day presence, because they're really exciting,” Muir explains. “You see it, you jump, you want to buy it.” But for more healthy food, like the kind Clover offers, Muir says he relies on regular customers, and therefore requires a regular location. Murnane is quick to point out that she is currently allowing Muir to operate for breakfast and lunch every weekday at the same spot on Commonwealth Avenue near the BU Bridge. "That's pretty consistent,” she says. Having said that, Murnane emphasizes she’s trying keep food trucks from resembling brick and mortar restaurants. “When you are at a location for eight hours a day, five days a week, you begin to look like — and compete with — the food establishments as if you were a bricks and mortar [restaurant]," she says. "Have you gotten complaints from restaurant owners?" I ask. "One or two," she says. I say it doesn't sound like a lot to me. "No," it’s not, she concedes. But she wants to keep it that way. Murnane says her office has been able to nip conflicts in the bud by keeping the trucks circulating and trying to avoid obvious competition, like, say, having a cupcake truck in front of a bakery. I visit Diane DeMacro’s Cupcakery truck on Clarendon Street, one of only two spots she says that does well for her — the other being in front of the Boston Public Library. What she thinks would help is if she could set up shop right next to other food trucks. This is known in the trade as "clustering," and you can see it in action on City Hall plaza in the summertime, and right now in Dewey Square, which is a spot administered by the Rose Kennedy Greenway. "So, like maybe have three or four trucks like yours around the corner on Copley Square?" I suggest. "Yeah, exactly," she says with a glint of longing in her eye. Murnane responds to this idea with a hearty laugh. “Copley Square would be great," she says. "Except that you have people who need parking for retail, parking for farmer's markets, so to take out a city block for food truck parking becomes problematic." Murnane says she is considering locations for other clusters, but she's looking more at neglected areas of the city where food trucks could introduce fresh vitality — that's one of her chief objectives for allowing food trucks in the first place. “East Boston would be a great location," she says. "Yeah,” she says enthusiastically. “It probably has the second- or third-highest pedestrian traffic in the city." But DeMarco says high traffic isn't always enough, something she found out the hard way in Jamaica Plain's Egleston Square. DeMarco says her industry is too new to venture into the outer neighborhoods, or pursue altruistic business plans. “I mean, maybe in the future, several years down the line, maybe that could work,” she says. “But right now we need all the support we can get to get, you know, our foot on the ground." In the meantime, DeMarco says she's looking to get back into book publishing. She figures maybe she'll keep the truck going on the weekends in the summertime, when there are more people walking the sidewalks, looking for a treat. This segment aired on March 7, 2012.